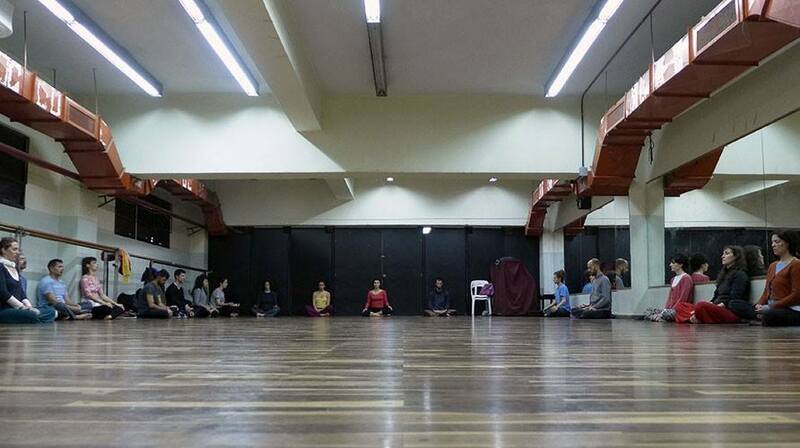 Essentially, these sessions combine 'Just Sitting'/Meditation with movement and improvisation practice. Please feel invited, and free to pass on the info. Required is basic knowledge and practice of Contact Improvisation, and interest in self-inquiry. Usually, the session has a certain structure, alternating between sitting and movement. Just follow Sandakerveien north towards circle road 3, cross underneath the train tracks and the building is straight after the underpath on the right side. Entrance B on the longside of the building towards the train tracks.